Government home › government › 5140-00-987-1179 Bag Tool SM. + enlarge image 5140-00-987-1179 Bag Tool SM. 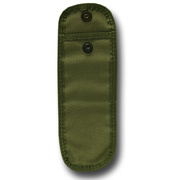 Made from Cotton Duck Olive Drab, Pouch (BAG) features a flap w/snap closeure.